I was fortunate to be Roy Knickman’s team mate for many years. He came to my Levi’s-Raleigh team when he was still a junior and we raced together until we both turned pro for La Vie Claire in 1986. Then we reunited at 7-ELEVEN for a few more years in 1987. He was a determined athlete and a clever, dedicated racer. Now he is a firefighter based in Paso Robles, California. I can’t think of a better person to apply strength, courage, know how and great tactical smarts to helping other people than Roy. 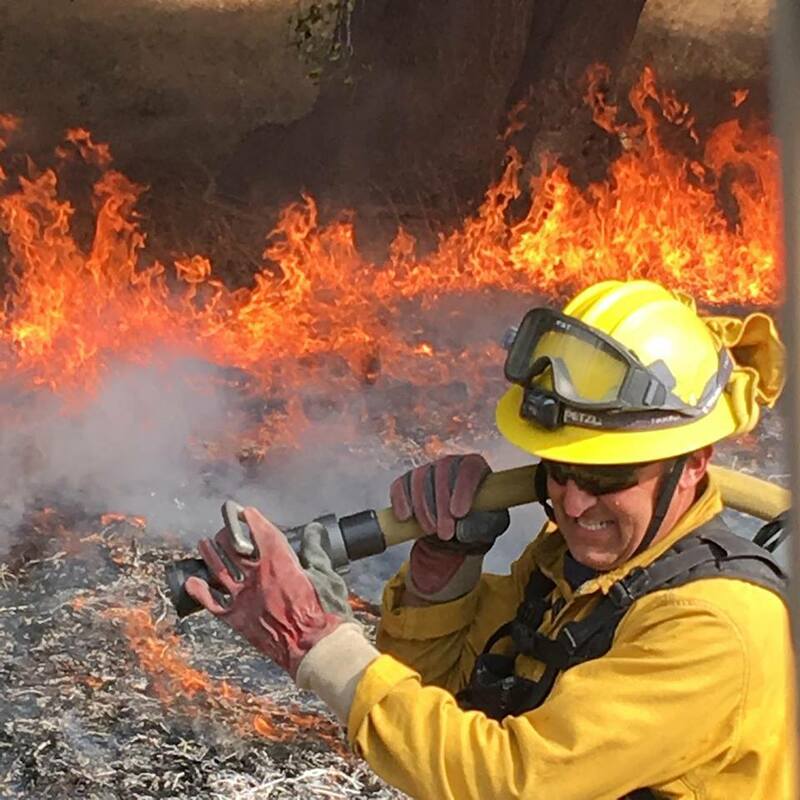 This fall his company has been called on to fight the fires that ravaged Santa Rosa, and he is now fighting fires near Santa Barbara. I am humbled at his choice of jobs where his abilities go toward helping other people, every day. A true warrior. I am so lucky to have been his team mate. Three cheers for Roy! California fires were horrible again in 2018. I canceled my big road trip up through California to participate in the Crater Lake Century because of the fires. The Century still took place, but the air quality was bad because there were fires in Oregon, too. Good thing the whole climate change thing is just a big “Chinese Hoax” so we know this won’t get any worse with time.